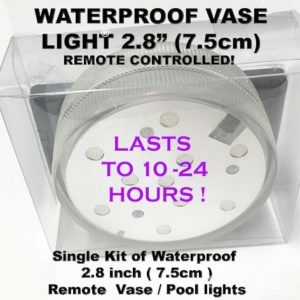 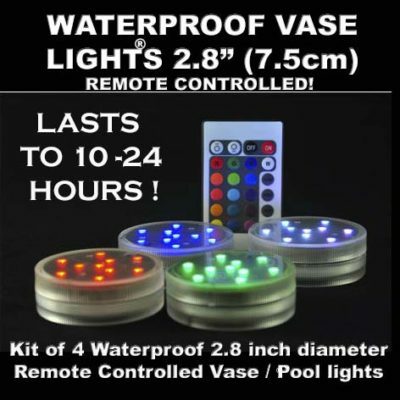 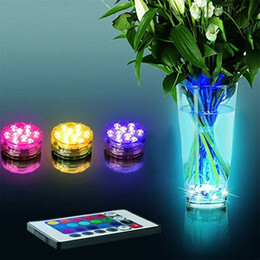 We now sell waterproof / submersible remote controlled vase and swimming pool lights. 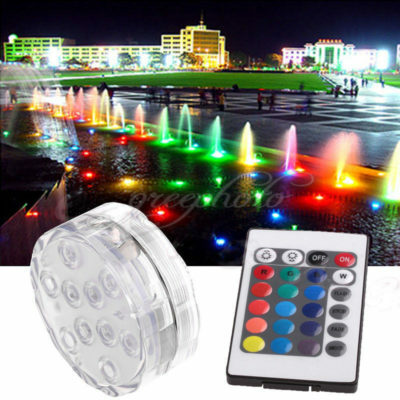 These lights are 7.5cm in diameter, they are waterproof and unscrew for you to insert 3 x AAA Alkaline batteries ( batteries are not included ). They light up incredibly bright as they have 10 super bright intelligent RBB l.e.dlights encased in the waterproof housing. The remote control has 16 different colour functions, brightness up and down ( to extend function time ), 4 different function modes and of course turns them on and off. 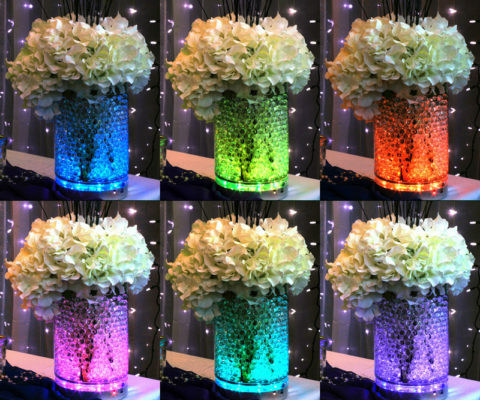 These lights are perfect to light up vases, centrepieces, walls, decorations and make incredible swimming pool lights. No cords or leads as they are battery operated. 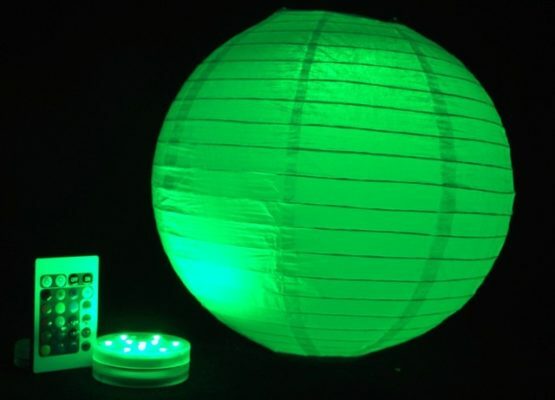 These last much longer than the cheap chinese imitations, we have designed our own circuit board to increase battery life and yet still provide incredible brightness. 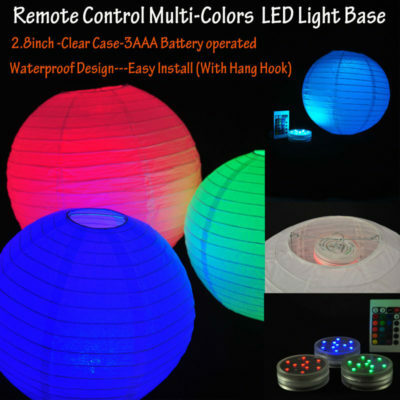 You can purchase them in a kit of one light and one remote or a kit of 4 lights and 1 remote. 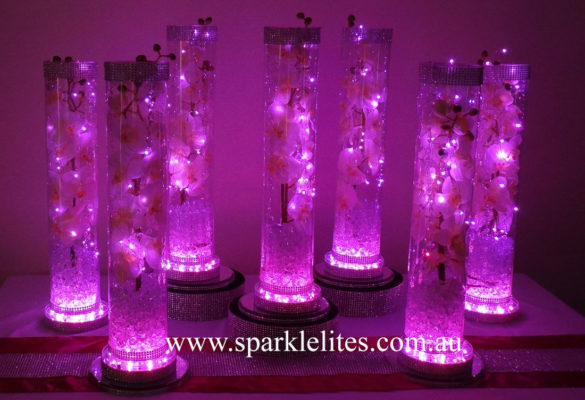 For Wholesale or bulk purchases please contact us on 0418 410 415 during business hours or email us anytime. 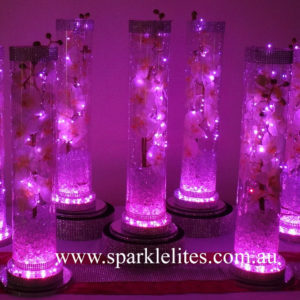 These are an Australian stocked product, they ship from our Brisbane warehouse. 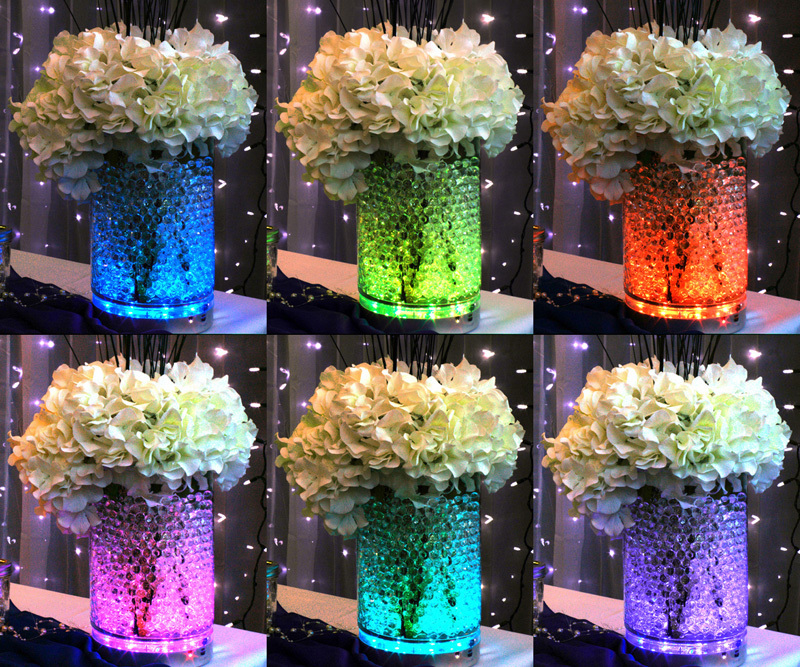 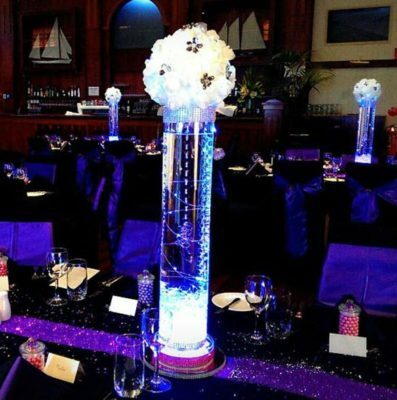 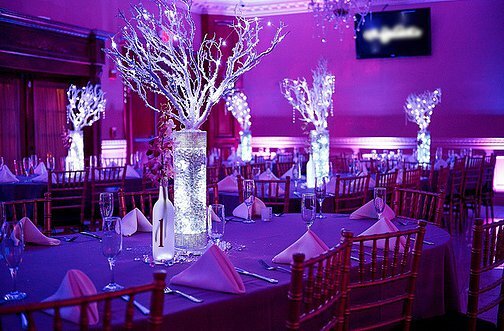 Below are some photos of the waterproof remote controlled vase lights in use, more photos to come soon.